The world ended 31 years ago. 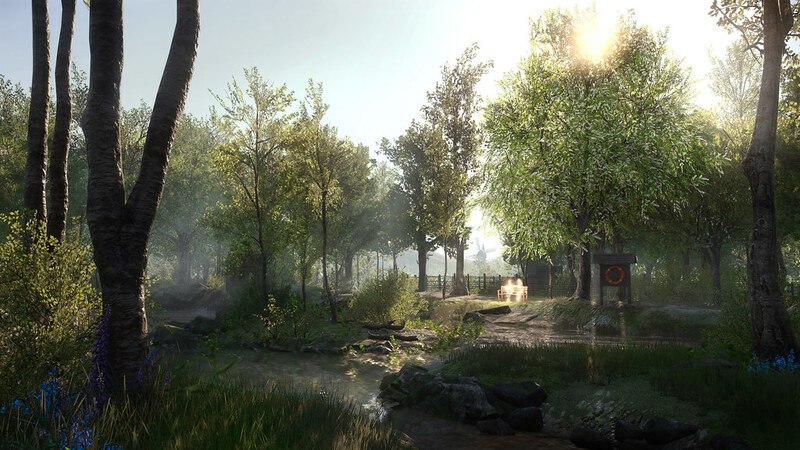 That’s the premise of Everybody’s Gone to the Rapture, and we’re delighted to be able to announce the game’s launch date – August 11th, 2015. 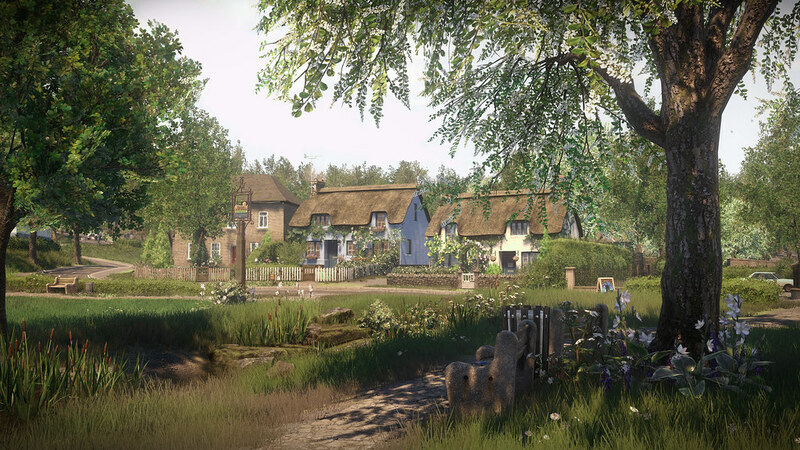 There’s going to be a lot more news about Everybody’s Gone to the Rapture coming out between now and launch, including a development diary which lifts the hood on how we got from the first ideas to this game we’ve poured heart and soul into over the last three years; another mini-documentary and lots more. But don’t worry – the mystery of what happened in Yaughton valley thirty-one years ago will remain buried in the empty fields and woods for you to discover. The answer to that question, the last nine years have proved, is a pretty emphatic YES. Dear Esther stood on the shoulders of giants, drawing on the long, proud design history of first-person gaming, to just try side-stepping into an area we believed was worth exploring. We look back now at the number of story-driven, exploration-driven games that have been produced since and that’s an incredible thing to be part of. We stand alongside studios and developers who are committed to pushing at the boundaries of what games can be, and that’s being part of a tradition as old as gaming itself. This medium has always been about those boundaries, that pushing out, that bending and breaking of rules to do new things, and we hope Everybody’s Gone to the Rapture will earn its place in that. Jess & I are really lucky to have an amazing team working on this project and they’ve done an outstanding job. It’s been an incredible game to work on and we hope you enjoy it as much as we’ve enjoyed making it. There are strange voices on the television and numbers on the phone; lights in the skies and electricity in the air. The end of the world is coming. And for this, I say THANK YOU! Is Dear Ester on PS4? Also hey Colin and Greg. What is all this Colin and Greg garbage about? I like what I see here. I’ll be on the lookout for more info once I get a PS4. i’ll wait until this is free on PS Plus. Really? Why post this comment? Ditto. Within a month of it being on sale for half off is pretty much a guarantee it will be free with PS Plus. So I’m totally excited for this. But seems odd that you announced this 4 days before e3 conference. If this isn’t one of the big announcements I can’t imagine what’s up Sony’s sleeve for Monday. If this is even half a good a dear Ester or Amnesia: A Machine for Pigs I know what I’ll be doing all night agust 11th. WOOOOOOOOOOOOOOOO! I can’t wait for this game! I’ve been so excited for this game to come out. Can’t wait to hear what Colin and Greg have to say about this over on Twitch during Colin and Greg Live! WOOOOOOOOOOOOOOOOOOOOO! Just going to give you a heads up………there is such a thing as negative advertising. Many, many gamers come to the PSBlog to read about Playstation news. Constantly reading about you know who ruins the experience making me and I am sure others never want to visit their channel. Keep that in mind. The first time I read it I was look cool. The next time it was like really!? The third time killed that channel for me. I will never visit their channel. So congrats. Amazing, can’t wait to play it. Another Exclusive out this year for Sony! Keep up the good work. Super awesome news!!! I´ve been waiting for this game since I found out about it. Now it´s so close! Any info on pricing. Just want to know, I don´t complain about that, ever. Is this PS Store only or will there be a physical release? I would like to know as well. A very important question for collectors. Looks and sounds fantastic! C’mon August 11. Get here already. Beautiful music and light trailers that are just making me want to see more!!! And Mickey Mouse. Hello Mickey Mouse. Why am I saying hello to these people? Dang good question, lol.. I have so much anticipation for this game, I really can’t wait until August 11th. Looks amazingly authentic even down to the British fire hydrant sign (I grew up in 1980’s semi rural England) . Like many on here it seems I would prefer a physical copy, but I will be getting it day one either way. Best wishes for the launch. How much is the game goig to be? I don’t need any more news or trailers or info or any other extraneous item. I’m just waiting to play. Thanks for telling me when. I will buy day 1. Kinda disappointed in that release date. Doesn’t give me much time to experience this before Until Dawn comes out. Ah well, I’ll find time for all this goodness at some point. Congrats on the on the confirmation! Really looking forward to playing this. 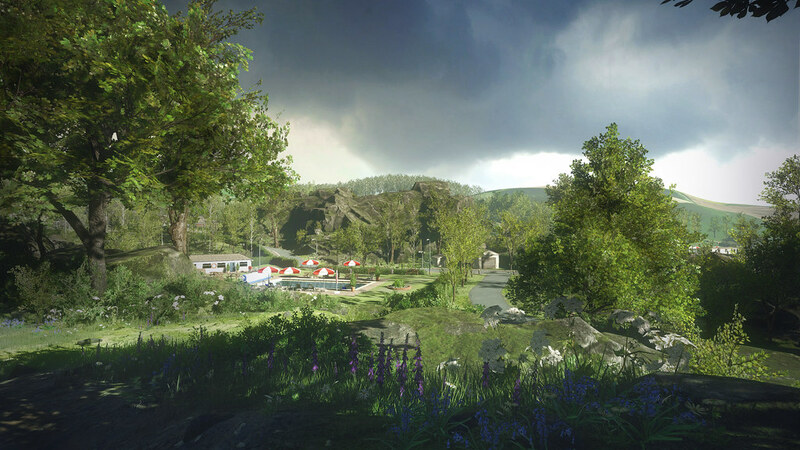 Can’t wait to play Everybody’s Gone to the Rapture! Also, please port Dear Esther to PS4 — I cried at the end of Dear Esther (like full-on bawling). I really enjoyed the Playstation Underground sit-down. Now that I’ve seen the game in action, it’s a definite buy from me! Such an interesting premise… but it sounds like it’s first person, which is a dealbreaker.